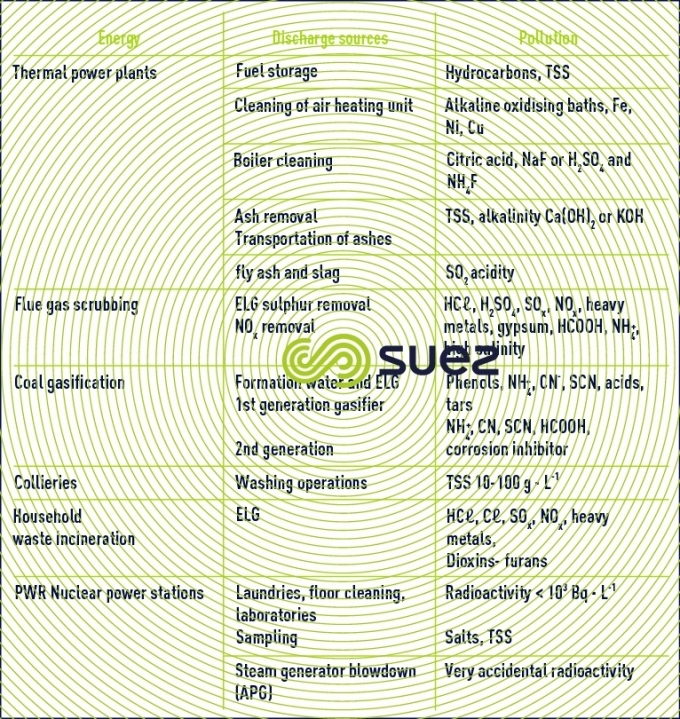 The composition of liquid discharge is closely linked to the type of fuel used, the emission reduction techniques used, the cooling technique deployed and, consequently, the water consumption, as well as the reagents used during cleaning and maintenance operations. 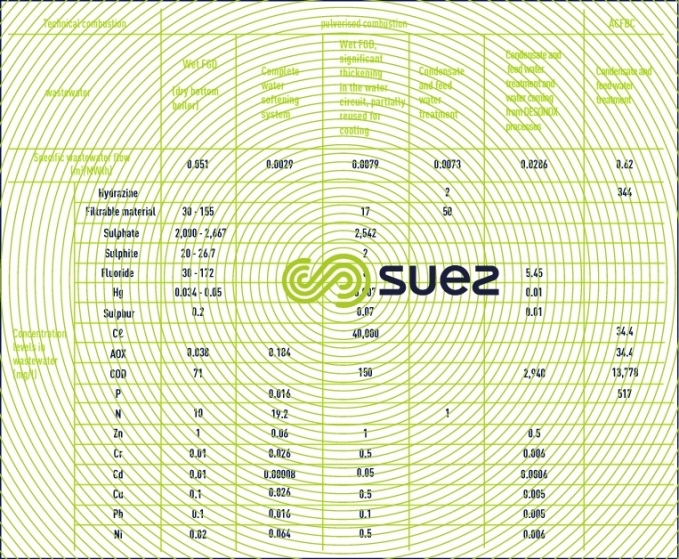 The main types of effluent associated with energy production are listed in the table below (Table 68). Driven by demographic and economic growth, world energy consumption is growing rapidly. Consumption has long relied on fossil fuels. In 2010 this accounted for 80% of energy demand with oil meeting 33% of needs, coal 27% and gas 21%. However, little by little renewable energy has increased and by 2010 accounted for: 13% of world energy demand of which 10 % was hydraulic and 6 % nuclear.